We believe that by changing the course of young lives we can in turn be changing the course of a community’s future. That it could lead to a reduction in poverty and unemployment. Or to safer schools and neighbourhoods, or a renewed optimism for growth. That it could even lead to change on a broader, more far-reaching scale. Serving as role models, our mentors teach by example the importance of giving and giving back, of staying in school, and of having respect for family, peers and community. 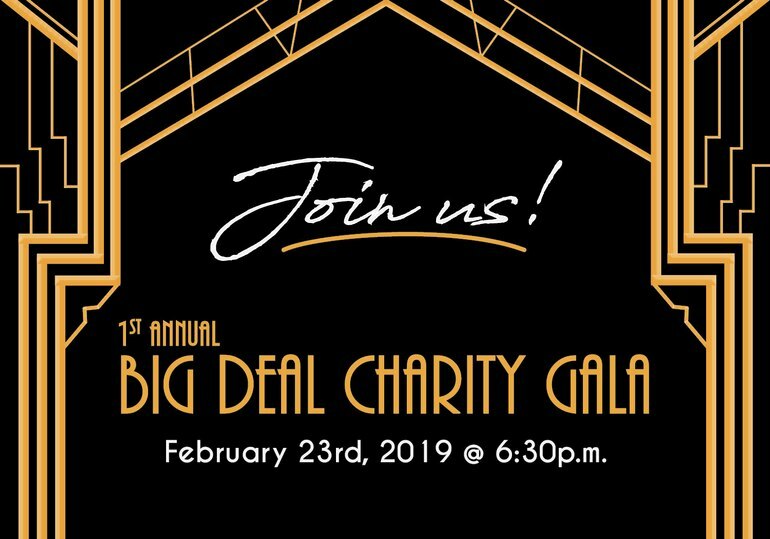 Buy your tickets and join us at our 1st Annual BIG Deal Charity Gala, an evening full of excitement and great prizes in support of mentoring programs in the Langley community. If you are not able to attend the event but would still like to be apart of the magic, there are great opportunities for sponsorships and prize donations. February 23rd, 2019 @ 6:30p.m. Early bird tickets: $100 each until January 31st. This evening is a Great Gatsby inspired event, including dinner, entertainment, and an exciting BIG Deal or No Deal game show. We would like to share our appreciation to everyone who contributed time, money and goods to our Christmas hampers this year! Your kindness has impacted 27 families in our agency and a few hearts along the way! Here is a special picture of the team at Envision Financial, a division of First West Credit Union with their donations! Thanks to our friends at Heart and Stroke Foundation, our staff and community partners from Big Brothers Big Sisters of Langley and Gateway of Hope are receiving CPR & AED training today so they can help make a difference any day, anywhere! Congratulations to today’s #SimpleGenerosity recipient from Envision Financial, a division of First West Credit Union, Rob Ross! He’s donating $1,500 to Big Brothers Big Sisters of Langley. With over 40 years of volunteering, Rob is the longest standing volunteer at Big Brothers Big Sisters of Langley. He has been matched as a Big Brother for 12 children over the years and has always made sure his Little Brothers and their families felt supported. Through Rob’s consistent individual attention, many Little Brothers were deterred from pursuing at-risk behaviours that may have lead to committing crime later in life. Rob has served as a member of the board as well President and his commitment to the organization and helping youth is inspiring. Vote now for Big Brothers Big Sisters of Langley by selecting an emoji below! Winning the $50,000 SimpleGenerosity grant from Envision Financial, a division of First West Credit Union helps the mentoring program create amazing benefits to the elementary kids who have the chance to connect with an older mentor, while also empowering teens by helping them realize the impact they can have in their community by being involved in giving back. 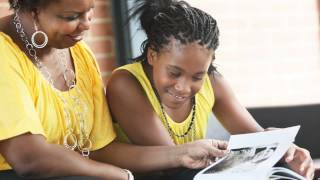 The teen mentoring program creates a win-win situation by recruiting, training and supporting teens that are looking for opportunities to give back to their community, thereby providing more students with a friend to talk to, laugh with, and who will encourage and support them. 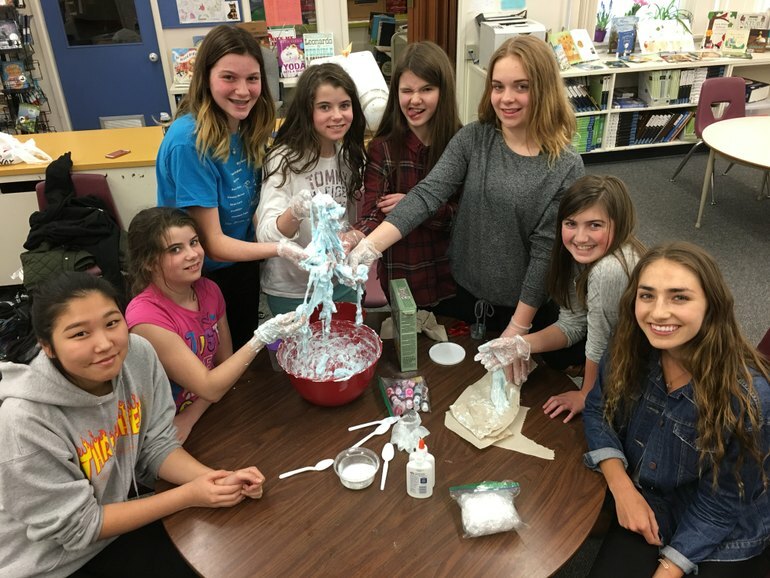 The program strives to promote the importance of staying in school and establishing healthy relationships with family and peers, instill youth with the trust and self-confidence required to make healthy decisions, and encourage leadership skills and independent thinking. 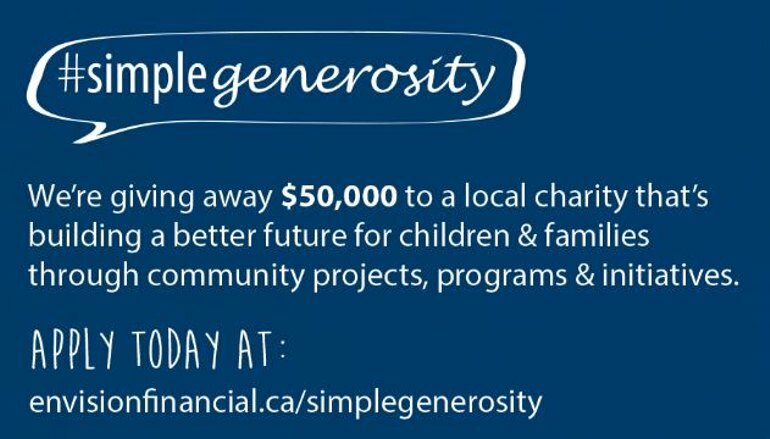 Thank you for helping us celebrate Canada150 and strengthening our communities with SimpleGenerosity! 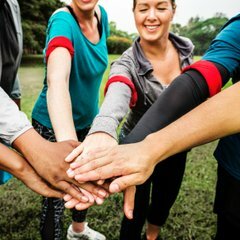 We get excited about volunteering in our community so much so we launched a new Community Crew program in July. 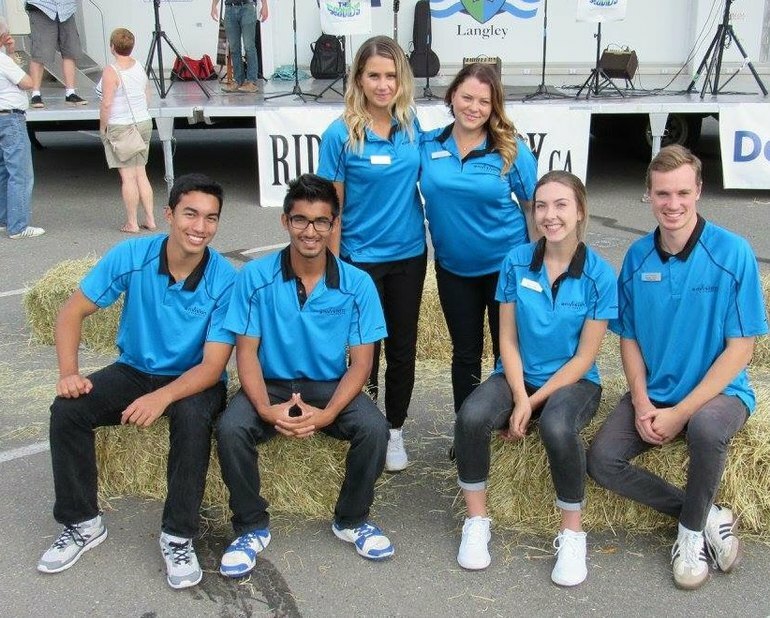 This group of five energetic and enthusiastic high school seniors and university students attended 20 community events across the Fraser Valley and volunteered with local non-profit agencies every week. The combination of volunteerism and work experience makes this Community Crew stand out! 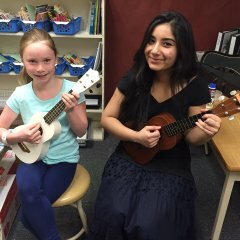 Envision Financial, a division of First West Credit Union partnered our Community Crew with Alexandra Neighbourhood House, Big Brothers Big Sisters of Langley, Gateway of Hope, Sources Community Resource Centres, and the Surrey Arts Centre. How did the team describe their experience--“this was the best summer job I could ever imagine!”. 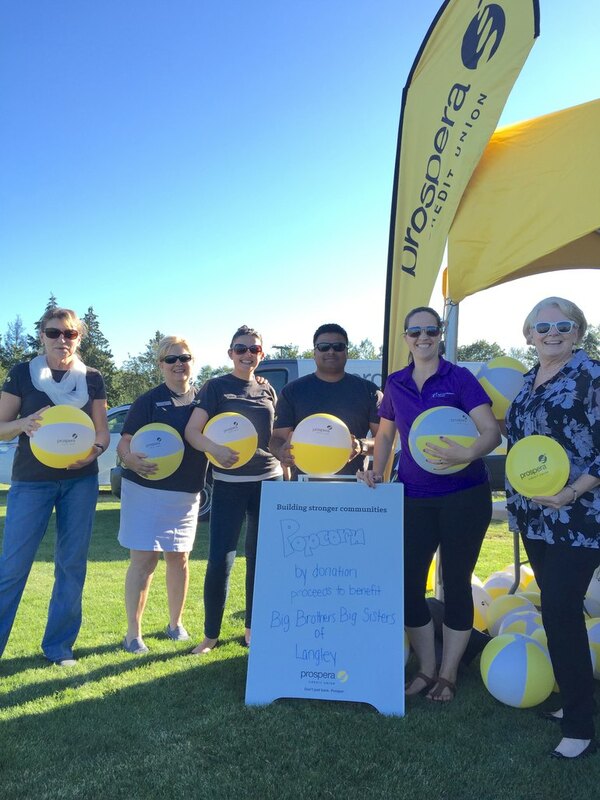 We're collecting donations for Big Brothers Big Sisters of Langley at our outdoor movie night at the Langley Events Centre tonight. Bring your blankets and watch The Jungle Book with us!